Crystal Balls are everywhere in the media, TV shows and movies! Get one and look into your own real crystal ball! In 7 sizes 2" - 8" to suit your budget. Rosewood ball stands with felt lining swivel for easy viewing. Perfect for medium to x-large gem spheres, crystal balls and Art Glass. Sparkling huge 1 1/2" wide brilliant round cut Crystal diamond paperweight makes a dazzling gift! Fits on LED base. Electric 4 White LED Lights! Save money on batteries and just plug it in and forget it! Mirror top base has 4 WHITE LED lights that stay lit. Choose Silver or Black. AC adapter is included. 3 AAA Batteries not included. Delicate leaf clad USA made pewter & Swarovski Crystal winged Fairy scatters sparkling blue fairy dust. Hand painted Water Moon Kwan Yin sits by a lotus leaf. The Moon Goddess vows to free all beings from earthly suffering. Exquisite Victorian style Antique Brass Stand gives old world quality to your favorite large crystal balls. Huge sparkling Clear Diamond Heart Paperweights! A sparkling crystal heart gift to remind Mom how much we love her! 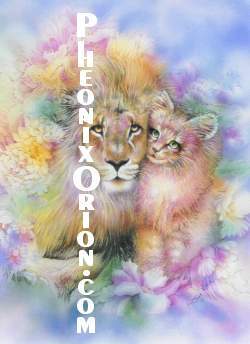 All New Age Artist Cards $1.50!! Frame-able Art Card by Joan MarieNew Age Artist. Blank card, suitable for any occasion. Glass butterfly suncatchers or ornaments in 6 colors with hanging filament. Back in stock gorgeous Rose quartz eggs! Gentle Rose quartz is used to radiate soothing love energies. Double my Money and Luck Charm! Two strings of lucky coins, Longevity Knots for double shot of luck and money! Collector bottle of real 24k gold flakes floating in solution. Gold is the eternal metal of the Sun that neither tarnishes or corrodes. Also real silver flakes bottle. Polished tumbled stones from Brazil & S. Africa in velvet pouch for healing, meditation or decor. Beautifully polished 1.5" W puffy Gem Star carvings in 18 different gem stones, including the Love Stone Rose Quartz. Only a few in stock! Large Turtle carving in Chinese Jade, the most auspicious Feng Shui stone for good luck, wealth & happiness. Give your heart to someone you love! Rose Quartz puff heart is called the Lover's Stone, Use it to radiate love energies in home or office. Large 4" W Glass Unicorn! Large Unicorn has a gold tipped mane, tail and hooves with pink ribbon bouquets and and is set on an star shaped glass base. Sea Dragons float above waves and Feng Shui motifs, 3 piece porcelain set includes a cup, lid and infuser for brewing loose or bagged tea. Anne Stokes boxes features a luxurious felt interior and a mirror on the hinge lid. Citrine is the stone of the entrepreneur & increases prosperity, assists in acquiring and keeping wealth. Charming red heart base has 3 COLOR LED lights for a rainbow light show. 3 AAA batteries not included. Handmade crystal rose with cobalt blue bud or 2 other colors, is the perfect gift of love or appreciation. Next Gen LED Light base rotates in battery or electric mode. 4 SUPER bright LED lights have 10 light shows. AAA Batteries not included. Dolphin sweet hearts kiss under a crystal heart with red letters of Love over their embrace on round mirror base. New high tech light stand has 9 LED lights that each slowly change colors for a TRUE RAINBOW light show! Adapter included. We change them regularly. Don't forget to chose your free gift with orders over $50.00! !